Using a large bowl, add all of your remaining ingredients. Gently stir and then divide the mixture evenly between the 4 pot pie tins. 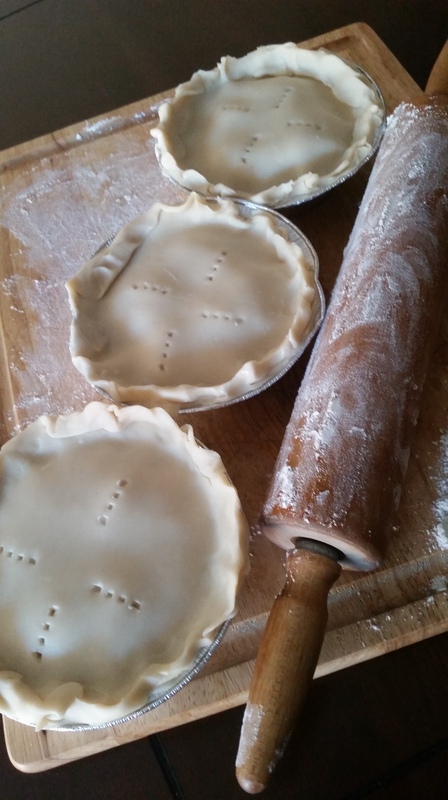 Now gently lay your pie crust round on top of the mixture and crimp the edges. Using a sharp knife cut a few vents on the tops. For a shiny, beautiful crust: simply brush on an egg wash. (1 beaten egg with 2 Tb water). Now for the hard part! 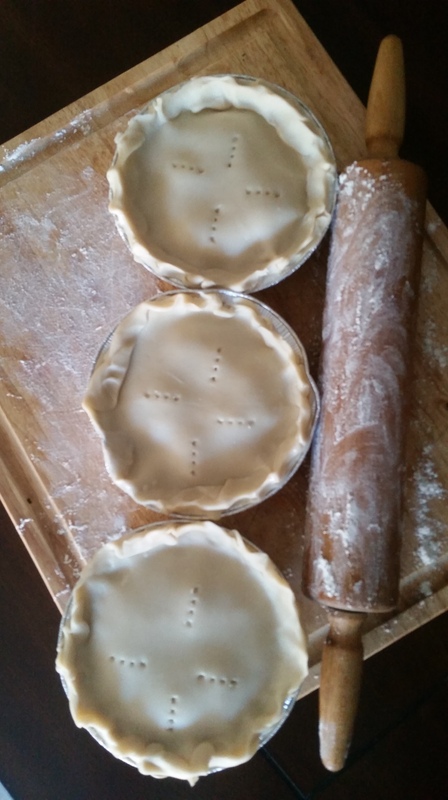 You must wait for 30 to 35 minutes (or until golden brown and bubbly) for your pot pies. Your kitchen will be smelling amazing. Resist the urge to, “peek in” on your pies. This is a good time to make room in your freezer because guess what? When wrapped in double foil; these pot pies store nicely in the freezer. Enjoy!